Salt caves, foot spas and yoga tours, oh my! When we&apos;re on vacation, many of us crave experiencing something out of the ordinary—an activity that stands apart from the monotony of everyday life. 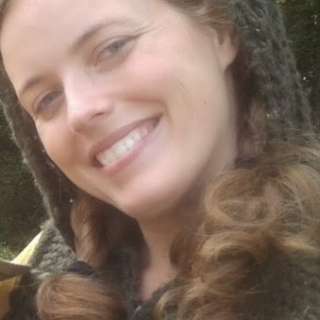 Well, prepare to be beguiled—and reap the benefits! Asheville, North Carolina’s reputation as a destination for health and wellness dates back to the 1800s. Flash forward to a modern spa and health-centric culture where experiences range from the legendary 40,000 square-foot underground spa at The Omni Grove Park Inn—consistently ranked among the top spas in the world—to innovative, new age rejuvenation adventures. Salt therapy, also known as speleotherapy, offers guests an unparalleled spa experience. Unwind in a tranquil cave formed of solely natural materials – nothing but salt, wood, and water--at the Asheville Salt Cave. This majestic atmosphere is comprised of salt crystals ranging in size from 6 ounces to 300 pounds. Each 45-minute session provides guests with ample time to repose while reaping the benefits of this unique microclimate, which aids in the treatment of respiratory problems, digestive ailments, skin problems, sleep maladies, depression and more. Or try a yoga or sound healing class at the Salt Spa of Asheville. Have you ever tried a foot spa? A sure-to-be-a-hit choice for girl’s night out, Wake Foot Sanctuary & Spa provides a blissful respite for the soul - and some much-needed love to those weary feet. With numerous spa services on the menu, guests can opt for a specifically tailored spa package, or shop "a-la-cart" from the spa menu. Awaken all of your senses as you nourish those tired muscles, savoring a pot of aromatic tea, and nibble on locally-made deserts. Choose a simple foot soak concocted of ingredients such as lemongrass, green tea, and avocado oil, or enhance your experience by adding a foot and lower leg, hand and arm, or head and neck massage. While actress Kristen Wiig was in town filming the 2015 movie Masterminds, she enjoyed the Salt Water Flotation experience at Still Point Wellness so much that she returned for a second dip - and then raved about it in an interview with David Letterman. Occasionally referred to as sensory deprivation, this enriching practice decreases blood pressure, slows breathing and heart rate, calms the mind and body, and boosts endorphin levels. Cast your apprehensions aside as you float, completely free from all outside stimulation such as light and sound, in 13 inches of skin temperature water loaded with 1,500 pounds of Epsom-salt. 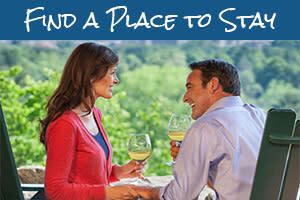 Nestled in the mountains surrounding Fairview, just east of Asheville, is Shoji Resort and Spa. Each Japanese-inspired private deck offers an unmatched forested view while the added salts and minerals nourish skin and enhance well-being. Order a pot of tea, provided by local favorite Dobra Tea, and some bites to indulge in during your time in the tub. With admittance to the private hot tubs, comes access to the rejuvenating cold plunge, the cedar sauna, and all spa amenities. If desired, you can top off your visit with a restorative massage! One of the greatest remedies that nature has to offer, water from natural mineral hot springs helps to relieve fatigue and stress, increase circulation, and ease muscle stiffness. Located just off of the Appalachian Trail, these natural hot springs, in the nearby (and aptly named) town of Hot Springs provide picture-perfect, post-hike relaxation. 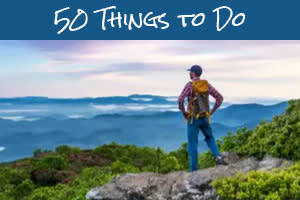 Looking for a way to combine a few of these funky Asheville ventures? Look no further. Asheville Wellness Tours will guide your group on a 2 or 3-hour total rejuvenation experience and downtown walking tour that features the best of wellness that Asheville has to offer. You can practice your asanas beneath the open air while warrior posing your way through the city. The tours vary from season to season but often include local honey tastings, tea tastings, essential oil blending and more. 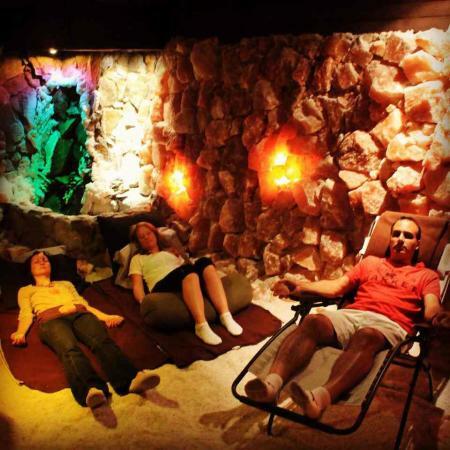 You can add on a stop at the Asheville Salt Cave where you&apos;ll enjoy a relaxing speleotherapy session before rejoining actuality all refreshed and invigorated. Perfect your day of relaxation by stopping by one of the area&apos;s local juicers for some freshly prepared juice packed with the nutrients needed to fuel your body. Elements Juice Bar features an all-organic and vegan menu filled with fresh juices crafted from ingredients such as fruits and vegetables sourced from local farms, house-made nut milks, and nut butters. Hungry? The raw food menu consisting of meals and treats concocted from healthy, raw ingredients is sure to provide the healthy energy you crave. Other local digs serving up fresh juice packed with wholesome ingredients include Nourish & Flourish in the River Arts District, Mountain Juicery on Hendersonville Road, and Green Sage Cafe, with three locations around town. Photos courtesy of Wake Foot Sanctuary & Spa, Asheville Salt Cave, Still Point Wellness and Shoji Spa.